In a day and age where looks are important and the fight against the signs of aging omnipresent, different types of facelifts have emerged to suit different needs, budgets, and tastes. The quest to turn back the clock is one undertaken by many, and the choices can be overwhelming. From the invasive, such as a surgical facelift, to the all-natural, at-home facelift system offered by Tru Energy, the choices run the gamut, leaving the consumer with many options. In this blog post, we’ll review the different types of facelifts and offer up our advice. Visit us online today! Liquid facelifts. Otherwise known as dermal fillers (the most famous dermal filler being Botox), these are non-surgical, temporary injections made from a variety of substances, such as hydroxyapatite, hyaluronic acid, or lactic acid calcium. These liquid facelifts are used to smooth out creases and folds in your face that create wrinkles, plump up the lips and fill shallow areas such as around the eyes. Injectable, such as Botox, block the nerve impulses that cause muscle contractions, which in essence relaxes your muscles so you make less facial expressions, which contribute to the breakdown of collagen that is partly responsible for the formation of wrinkles. Many use liquid fillers repeatedly in lieu of a full, surgical facelift. Jawline rejuvenation. 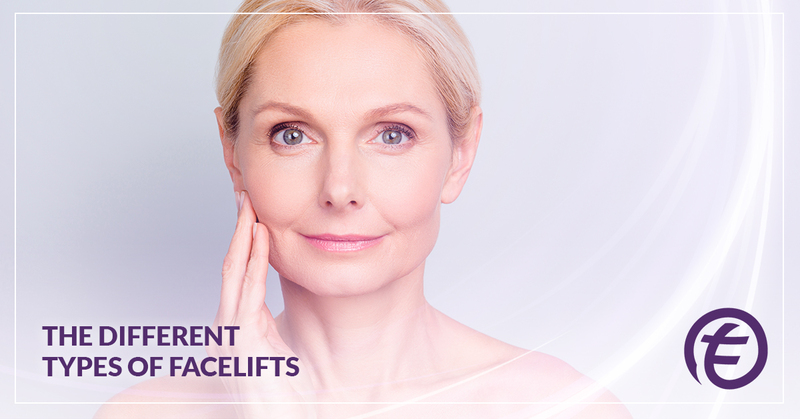 This facelift caters to those who feel they have excess fat around their neck and jawline. A mini-liposuction procedure is performed, whereby excess fat is removed from the targeted area in the neck to tighten and define the jawline. Skin is not removed in this procedure, and the removed fat can be reused as a dermal filler in other areas, most commonly reinjected into other areas of the face. Mini facelift. This is a compromise between the results of dermal fillers and a full surgical facelift. A mini facelift mimics a full facelift in the fact that the incisions are smaller and made in the hair line. Skin is removed and tightened. This primarily yields similar results to the jawline rejuvenation and is common among women who are younger and just showing the signs of aging and thus don’t necessarily need a full facelift. The mini facelift is also known as the weekend facelift since it can be performed on a Friday with the patient able to go to work on Monday and resume normal activities by then. S-lift. Make three tally marks in the column under “improve neck, jowls, and jaw line” as this facelift procedure targets these areas just like the jawline rejuvenation and mini facelift. Popular due to minimal recovery time, the S-lift makes an s-shaped incision (hence its name derivative) and separates the skin from the underlying tissue. This allows the skin to be lifted. The plastic surgeon then tightens the muscles and tissue before closing the incision. Mid-facelift. As the name suggests, the mid-facelift targets the middle of the face, namely the cheek areas. Similar to the S-lift, small incisions are made in the hairline above the ears and in the mouth. Next, the cheek’s skin is tightening and the fat is also reconfigured to plump out the cheeks. Fat may be added here as well if a concurrent surgery is performed. Cutaneous lift. Taking its name from the Latin root word for skin, this procedure is almost identical to the S-lift in nature. The skin is still trimmed and stretched; however, the main difference is the cutaneous lift does not involve any tightening of muscles. This yields a less durable facelift procedure in the long run as your skin stretches over time. Browlift. Also called a temporal facelift, a browlift targets your brows that are slightly drooping or lowered. This procedure is a great alternative to a full browlift, which is much more invasive and requires a longer recovery time. Again, small incisions are employed along the hairline with the goal of lifting the skin on the side of the eyebrows. Quicklift. The quicklift is a slightly more involved and invasive procedure over the S-lift, but a middle ground before the jump to a full facelift, which tightens the mid-to-lower portion of face and tightens the neck and jawline. The results are more dramatic and thus the quicklift is more popular with a slightly older women battling increased signs of aging. Traditional facelift. The mother of all facelifts, the traditional or full facelift will yield the best results for reducing the signs of aging. This of all the procedures above is the most invasive and in essence yields the results of all the previously mentioned facelift procedures combined. Incisions will be all throughout the hairline as well as below the chin. The muscles are tightened; skin is trimmed; muscle is sutured together to smooth and contour the face. Excess fat and skin are removed as needed. Two weeks is required before you are cleared by your surgeon to resume all everyday activities. All-natural facelift. The all-natural facelift by Tru Energy involves no incisions, no skin trimming, and no fat removal or repositioning, and no injections of artificial fillers. There is no downtime and no change in your lifestyle. Simply replace your existing skin care routine with our skin care products, used in conjunction with our revolutionary Energy-Optimizing wands. Our system works by using magnetic frequencies in the Energy-Optimizing wands that activates beads in our proprietary skin care creams, lotions, and moisturizers. This causes the active ingredients in our skin care products to tighten the skin in its lower layers, which results in the elimination of sagging and diminishes the appearance of wrinkles — all you can do from the comfort of your home. Tru Energy believes the at-home facelift is the most economical and the best choice for your skin. Your skin was designed to repair itself; Tru Energy simply tells your skin’s repair system to get in gear! On our website, you will find the complete all-natural skin care system. From cleansers to serums, you’ll find everything you need to start unlocking your body’s natural repair system and start looking younger today. Simply use our all-natural, organic skin care products in conjunction with our energy-optimizing wands twice a day — at morning and at night — for optimal results. Order online now!